The export functionality is awesome. It would be great if we don't include schema name when exporting SQL views to another database. Can anyone reply to my concern please? It's quiet not convenient when exporting SQL views to another database. Which actually still pointing to original database. If there is any setting available then please guide. Are you on the latest version, 10.1? No source database name in that query. Yes, I am using latest version 10.1.0.5464. Please check my screenshots of how I am getting this scenario. Ok, I see the view code has the old database name. 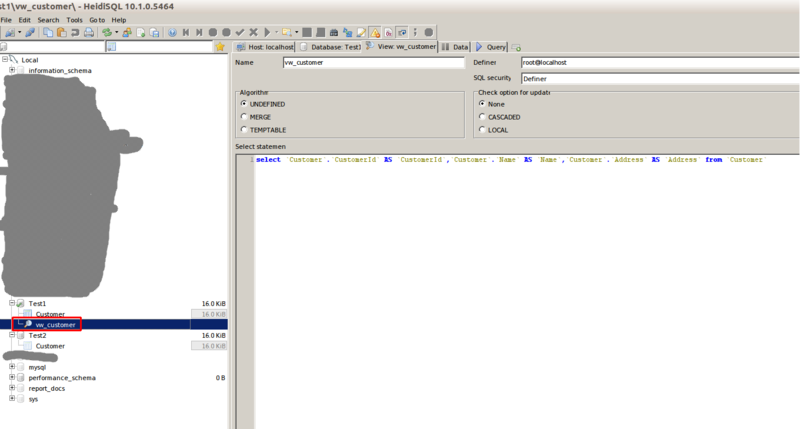 And how does the export SQL code look like which HeidiSQL generates? I assume the server adds that database name. Where can I see this? I'm using output to another database option. HeidiSQL is at least not to blame here - the old database name obviously gets inserted by the server. Now the question is how to stop server to add old database name? 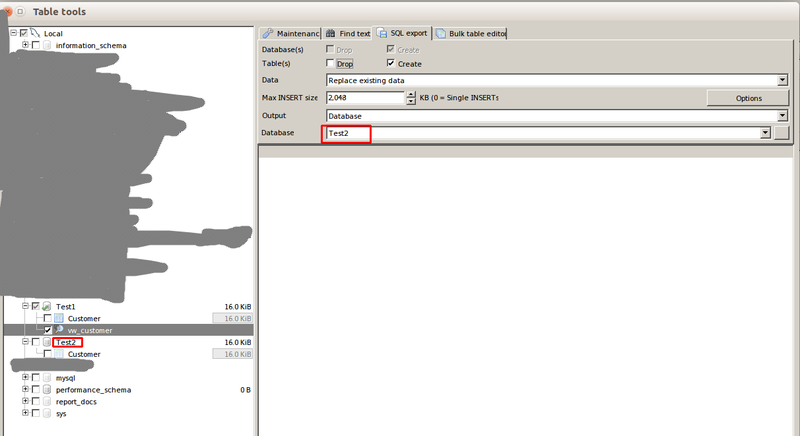 Could you please advise a solution for not to add old database name when exporting SLQ views? Apart from the fact that HeidiSQL normally works around that dependency issue by creating an exported view at first as a table, and after all other tables are created it drops the fake table and creates the real view. I can only guess you don't have that "Customer" table in the target db. Customer table is already there. Actually we have a multi tenant software and we often need to export Views to update tenant databases.